The Rector directs NATFA in accordance with the Bulgarian law and NATFA’s Rules of Organization and Activity and reports to the General Assembly that has elected him. Prof. Dr. Stanislav Semerdjiev (1963) is Rector of the National Academy for Theatre and Film Arts (NATFA) – Sofia, Bulgaria. 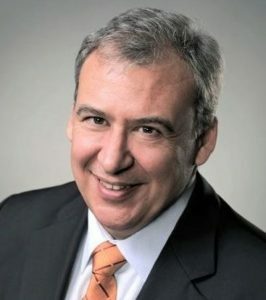 He is also President of the Bulgarian Association of Film, TV and Radio Scriptwriters (BAFTRS, www.baftrs.com) and Vice-President of the World Association of Film and TV Schools (CILECT, www.cilect.org) since 2011. He was elected four times (2007-2015) for board member of the Federation of Screenwriters in Europe ((FSE, www.scenaristes.org), Belgium. He founded the Screenwriting Graduate Program at NATFA (1991) and created the first Bulgarian daily TV serial Hotel Bulgaria (2004, Nova TV) and the Bulgarian-USA TV interactive project The Hamlet Adventure (2007, dir. Greg Roach, X-Files). He is the script analyst of more than 30 European full-length feature film productions for the MEDIA+ Script Development Program SOURCES 2 (its board member since 2004). Currently he is member of the Public Advisory Council at the Bulgarian National TV (BNT), member of the National Film Council and member of the Expert Advisory Council on Culture at the Sofia Municipality. He has served several times on the boards of the Union of Bulgarian Journalists (member since 1989) and of the Union of Bulgarian Filmmakers (member since 1988).